Credit Score vs. Credit Report – Which Is More Important? Credit reports and credit scores can be a bit confusing, and that's not entirely by accident. In fact, the companies that issue credit scores purposely conceal the formulas that they use. So when it comes to understanding credit reports and credit scores, many people are understandably unsure about what these two things are, and which is more important. Identifying information such as your name, address, Social Security Number, date of birth, and employment history. These are vital to distinguishing yourself from others although this information is not used to determine your credit worthiness. Credit accounts. Sometimes called "Trade Lines", this is a list provided by lenders of every credit account you have opened, such as credit cards, store charge cards, car loans, and home mortgages. This information includes the date the account was opened, the size of the line of credit, your current balance, and most importantly, your payment history. Credit inquiries. This is a list of every time a lender has requested a copy of your credit report, going back two years. These include "hard inquiries" which are times that you have applied for a loan, as well as "soft inquiries" that occur when a lender requests a copy of your credit for marketing purposes. Public records and collections. These are records from state and county courts, including bankruptcies, foreclosures, liens, and judgments. There are three major consumer credit bureaus, (Equifax, Experian, and Transunion) and each keeps a separate credit report on most consumers. Lenders may request a copy of your credit report when you apply for a loan or a line of credit, and these reports can also be used for pre-employment background checks. By law, all Americans are entitled to receive a free copy of their credit report each year, which they can request through AnnualCreditReport.com. Previously, when people applied for a new line of credit, lenders would request a copy of the applicant's full credit report, and would need to read through the entire document in order to make a judgment about their application. Since it required plenty of time and skill to review and interpret the report, companies began offering an alternative to credit reports called a credit score. A credit score is designed to be a single number that represents a person's creditworthiness. This number is created by applying a proprietary formula to all of the data included in a consumer's credit report. There are several different companies that offer credit scores, and each company may offer more than one credit scoring formula to lenders. Typically, these numbers range from the 400s to the 800s, although each scoring formula will vary somewhat. Finally, each credit scoring formula can be applied to the data contained in any one of the credit reports supplied by each the three major consumer credit bureaus, so each person can have several different scores, depending on the credit report used and the scoring formula applied. Finally, credit scores are only used to determine the creditworthiness of applicants for new credit, they are no used directly for pre-employment screenings. 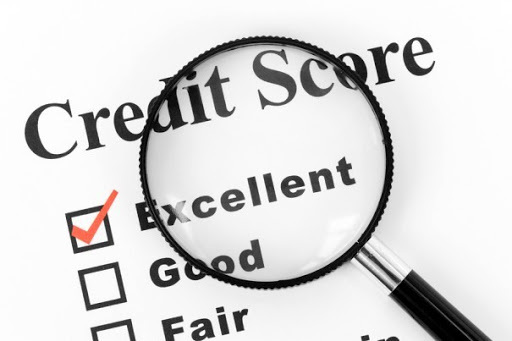 Since your credit score is determined by data in your credit report, both are inextricably linked. At the same time, both your credit report and your credit score are used for different purposes. When applying for most kinds of revolving credit, such as credit cards and store charge cards, it is likely the lender will only request a copy of your credit score. This is the reason that credit scores were created, so a quick determination could be made as to the applicant's creditworthiness, rather than undergo a lengthy examination of your entire credit report. But in other cases, the information on the credit report itself is vital. For major loans, such as home mortgages and car loans, lenders are likely to request complete copies of the credit report from one or more of the three major consumer credit bureaus. Lenders will look closely at the applicant's account histories, debt levels, and payment records. Further scrutiny will be placed on public records such as bankruptcies, judgements, and liens. In addition, your credit report may be requested as a part of a pre-employment background check, (although this practice is restricted or illegal in several states). Therefore, it is important to regularly check your credit reports for accuracy, and to dispute any inaccurate information. It is also a good idea to periodically check your credit score, which can alert you in advance to any potential problems in your credit report. Thankfully, many credit card issuers currently offer cardholders free monthly credit scores. While credit scores and credit reports may not be easy to understand or fun to deal with, they are a necessary part of our personal finance system. By understanding the difference between these two important components of your credit, you can ensure that you take the proper steps to maximize your chances of being approved for loan or a new line of credit.